← Will the Next Star Wars Trilogy Stray Far, Far Away from the Original Formula? It was with some trepidation that I went to see Iron Man 3 this past weekend. I’ve made no secret of my disdain for Iron Man 2, which I compared to RoboCop 2 last year. In fact, my first review on this website – the idea that started it all – was Iron Man vs. RoboCop. I desperately hoped that the makers of Iron Man 3 would not remake the disastrous RoboCop 3. Thankfully, they found a way. I am pleased to report that I will not have to do a Movie Matchup of Iron Man 3 (at this point, anyway). Instead, I will examine why it is that Iron Man 3 is unlike any other third film I have seen in many years (with the exception of Star Trek III: The Search for Spock). “Light” is the word I would use to describe it, while most third films feel heavy, such as The Dark Knight Rises and Return of the Jedi. Basically, Iron Man 3 is everything that Iron Man 2 should have been. Let’s explore what makes Iron Man 3 such a unique “finale” to a series. As I just mentioned, this movie feels weightless compared to other third films in series. Most of those feel like what happened in the previous entries is dictating what happens in this one. It’s not free to tell its own story, but it is trapped. By the time a third film comes along, the formula is set in stone and it can’t be changed because it’s what people expect. Plus, many film series feel like they have to connect everything in the third film to make it seem like they were planning all of this from the beginning. They try to make every little thing meaningful when such contrivances only serve to cheapen what came before, as is the case with the first three Pirates of the Caribbean movies. 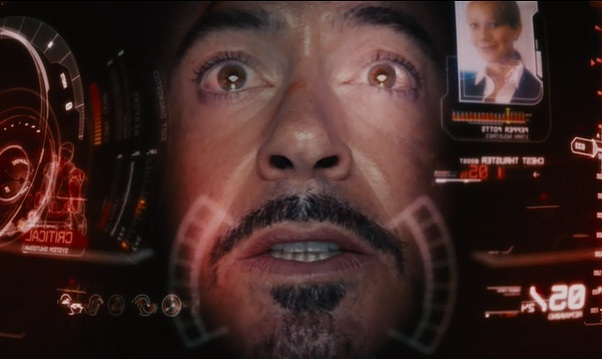 Iron Man 3 does have some repetition from the two previous films, such as a rival businessman as the main villain, a terrorist posing a threat to Tony Stark, and a scene of Tony trying and failing to use new suit technology. But even in the familiar scenes, it manages to do something new and interesting. Most of the film feels fresh and like it could go in any direction. I like that Tony has to use his wits to fight the bad guys, like he did at the start of the first Iron Man. He doesn’t rely on superior technology to overwhelm his adversaries, but is instead severely handicapped for most of the film. Of course, it doesn’t make sense why he doesn’t call one of the dozens of suits he has in storage when his newest one fails to function properly. But that plot hole can be forgiven because it’s much more fun to see Tony create all sorts of gadgets and work with bits and pieces of his armor. In Iron Man 2, I was so disappointed by the solution to the problem of Tony’s imminent death. He’s suddenly cured by a magic hypospray. This film gives Tony a much better problem, which has a brilliant solution. He suffers from severe anxiety, which brings on panic attacks. It’s a direct result of what happened at the end of The Avengers. Tony no longer feels safe, and he has to face his fears in order to overcome this debilitating weakness. He keeps his mind occupied by doing what he does best: building things. He does that a lot in this movie. In the end, he also gets rid of the source of all his trouble when he goes in for surgery to remove the shrapnel from his heart. The solution to his physical problem is a bit of a letdown because it made me wonder why he didn’t do that a long time ago. But it was still satisfying to see him completely whole, both physically and mentally. All three Iron Man movies have basically the same villain setup: The main villain is using another villain as a distraction to hide his real intentions. Iron Man 3 has a lot of fun with this concept, once again providing a great twist on a familiar idea with The Mandarin and Aldrich Killian. You think you know what’s going on the whole time, but when the twist comes, it is genuinely surprising and believable. This is one thing I won’t spoil because so much of the movie hinges on it. In Iron Man 2, I expected a reversal of fortunes. In the first film, Tony was taken hostage and had to rescue himself. In the second film, I figured Pepper would be put in a similar situation and possibly save herself or drive Tony to take drastic actions. That didn’t happen, which made for a very boring movie with low stakes. Iron Man 3 wisely corrects this error and does something clever. Pepper is saved by Tony, and then she gets to save him in return. Her fight scene is memorable, to say the least, and she actually gets to do something more interesting than just banter with Tony. Plus, Tony solves the classic superhero problem of protecting the one he loves in a smart way: He programs his armor to cover Pepper first when missiles start flying at his house. As soon as she gets to safety, he calls the suit to him. It was so awesome to see this because it demonstrates perfectly how much Tony loves Pepper. He can’t stand to think about life without her, so he would rather sacrifice himself than allow anything to happen to her. Well played, filmmakers. After so much buildup of the villain and how he has a special means of weaponizing people, the film pays it all off beautifully in the climax. 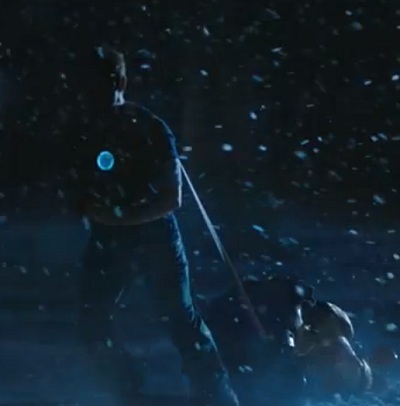 The first two Iron Man films had lackluster final fight scenes. The first film was especially weak. The second film tried to up the ante by adding dozens of robots, but that just led to boredom since nothing was at stake during most of the battle. Iron Man 3 has the fate of the U.S. president and Pepper in question, leading to plenty of suspense. All of the Iron Man suits fighting against an army of superhumans became a little confusing at times, but it was definitely a vast improvement over what had come before. Even though this film isn’t bogged down like other threequels, it still takes the time to be consistent with the other films. 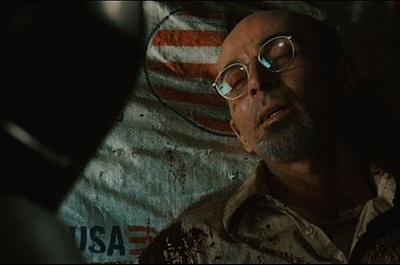 For example, Yinsen shows up in a flashback, but his appearance doesn’t call attention to itself. It’s just an awesome reference to the first film when Yinsen told Tony that they met at a conference once. The film also subtly refers to other Avengers while still leaving this film firmly in Tony’s hands, a balance that Iron Man 2 failed to achieve. Plus, I don’t know if they were trying to reference RoboCop by casting Miguel Ferrer (who played RoboCop’s creator) as the U.S. vice president in this movie. He was a junior executive for a large corporation in RoboCop, and it’s funny to see him still in second place in Iron Man 3. Maybe I’m reading too much into it, but I just want to find something to relate to RoboCop in this film. Is that so wrong? I’ve already mentioned a few plot holes and minor imperfections in this movie. It’s good but not amazing, like the first Iron Man. The president of the United States was one of the weakest portrayals I’ve ever seen in a film. He didn’t have much to do, and he was pretty forgettable. Plus, I wasn’t fooled for a second by Pepper’s “death.” They had already established that she got a wonder drug that would make her heal from any injury, so as soon as she fell into a fire I knew she would be fine in the end. These are just little gripes, but for the most part the film works very well the whole way through. Iron Man 2 is even more dispensable after watching this movie. I’m glad they got the series back on track with this solid entry. It’s more of a sequel to The Avengers than Iron Man 2. Maybe that’s why this doesn’t feel like the finale of a trilogy, but just another episode of an ongoing series. Most of the Marvel movies are part of a larger universe. This kind of removes any suspense of the heroes being killed or seriously wounded in their individual films because they’ll have to be around for the next big team-up movie. Whatever the case, they’re still worth seeing if Iron Man 3 is any indication of what is in store with the next Thor and Captain America sequels. Marvel learned its lesson from Iron Man 2, thank goodness. This entry was posted in Random Stuff and tagged action movies, comic books, films, iron man, movie review, movies, robert downey jr, science fiction, sequels, trilogy. Bookmark the permalink. Thanks for your write-ups. I enjoy them! Nice review Rob. Wasn’t amazing, but there was still a lot of fun to be had watching Stark and everybody else battle one another out. Sure, Robert, thanks for ruining it for me………..!! And, I’m delighted to hear that this film stepped up its game a bit. I was less than thrilled by the 2nd installment, too, so hearing this one doesn’t continue that trend is heartening. Marvel has a good thing going, even if they ARE risking overexposure with making “Agents of S.H.I.L.D.” a TV series this fall. If anyone can pull this off without destroying the brand, I’m counting on the boys from Mighty Marvel to get it done. That would have been the rational response, yes, but we already knew that Tony had responded to the injury irrationally: He built an Iron Man suit. Would a sane person have done that? I don’t think so. Good point. It’s probably best not to drill too deep into the logic of comic-book movies. They’re just having fun and inviting us to do the same.